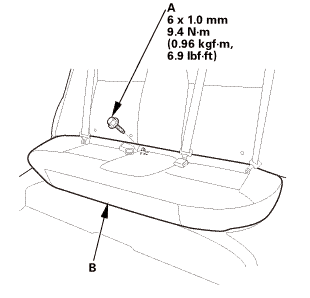 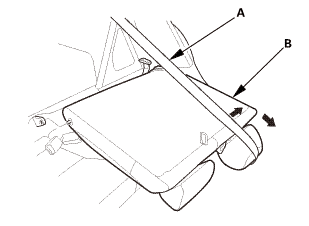 Remove the rear floor upper cross-member (A). Remove the access panel (A) from the floor. 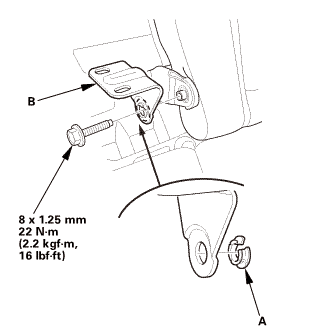 Using the special tool, loosen the locknut (A). 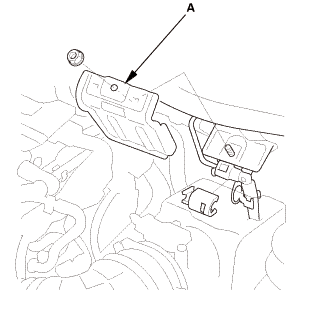 Remove the fuel tank unit (B). 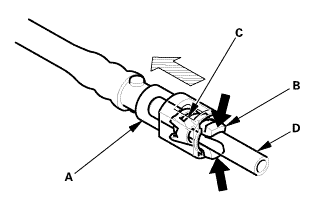 Using a hand pump, a hose, and a container suitable for fuel, drain the fuel from the fuel tank. 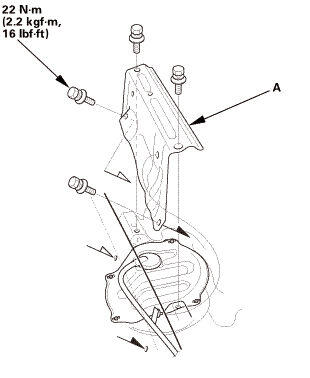 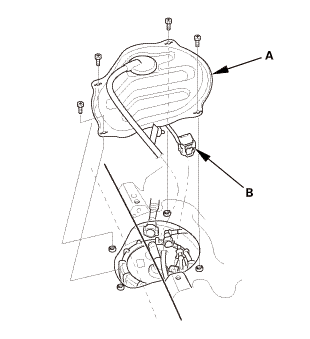 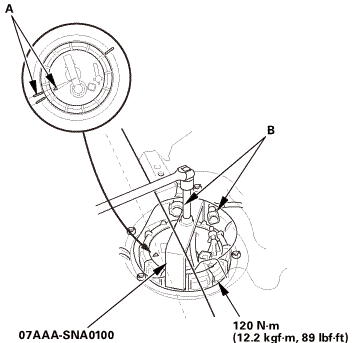 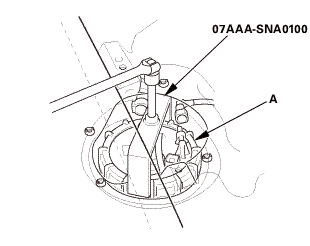 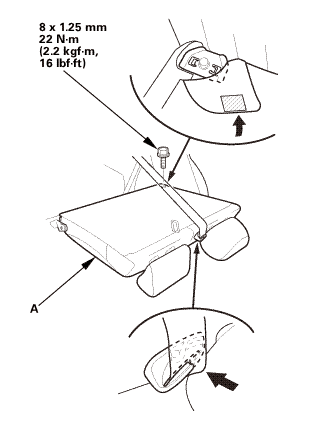 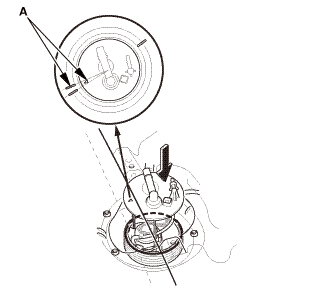 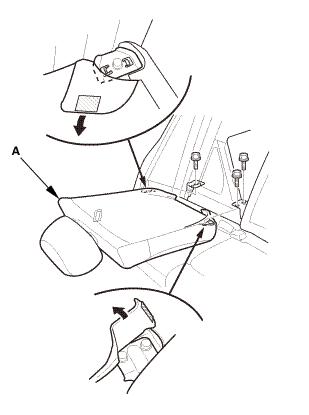 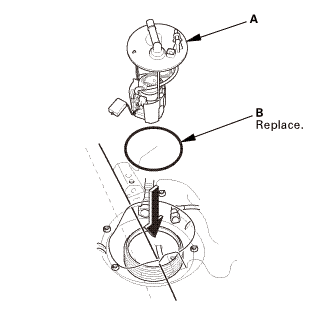 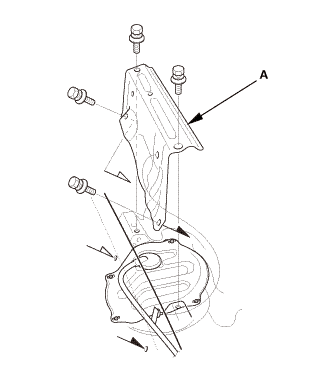 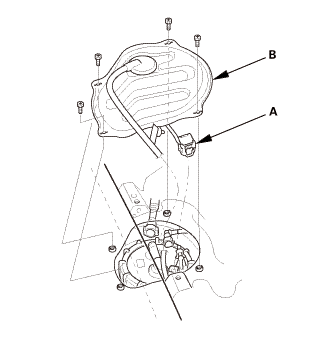 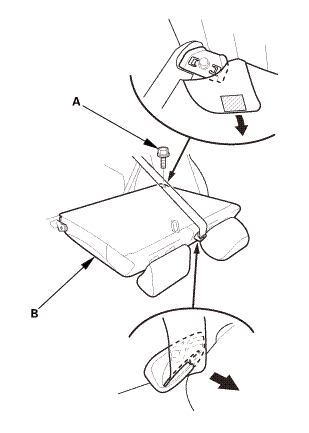 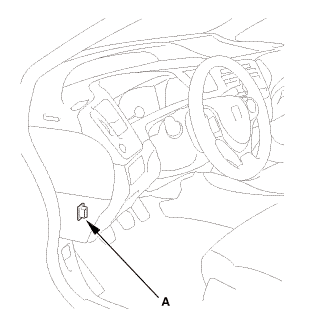 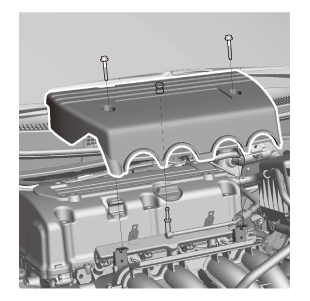 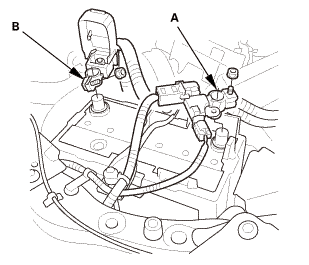 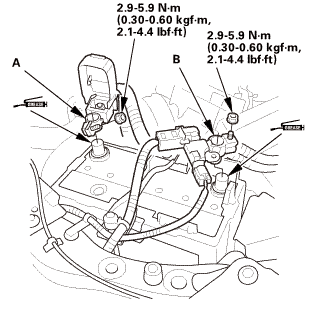 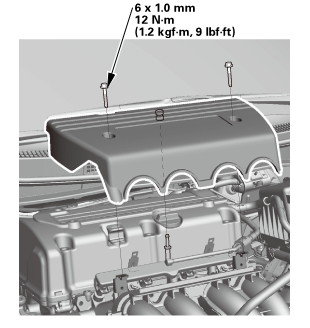 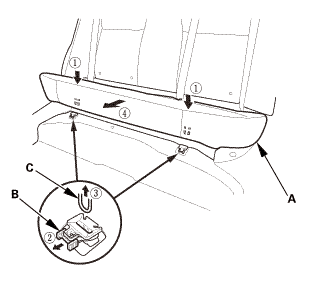 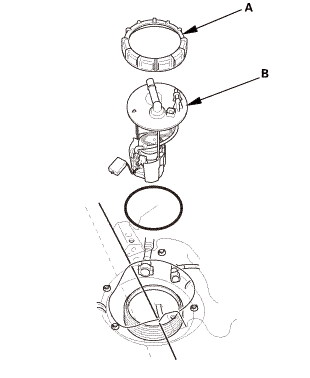 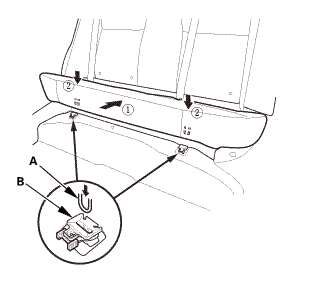 Insert the fuel tank unit (A) into the fuel tank with a new O-ring (B). 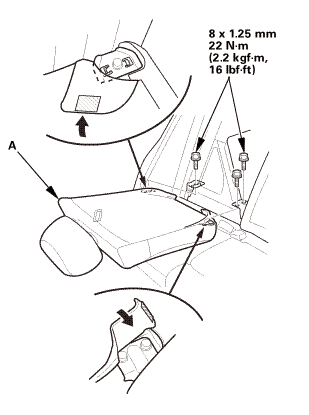 Align the marks (A) on the fuel tank and fuel tank unit, then insert the fuel tank unit into the fuel tank until. 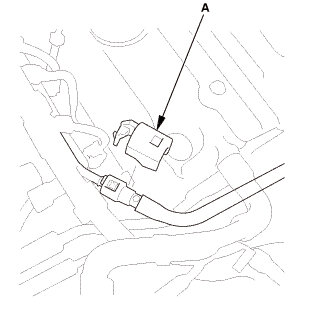 NOTE: To avoid a fuel leak, check the base gasket, visually or by hand, to make sure it is not pinched. 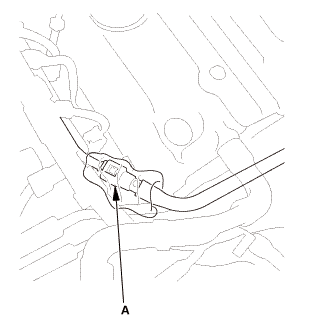 Tighten a new locknut (A) by hand holding the fuel tank unit vertically. NOTE: Before tightening, align the mark (B) on the locknut to the start of the thread (C). 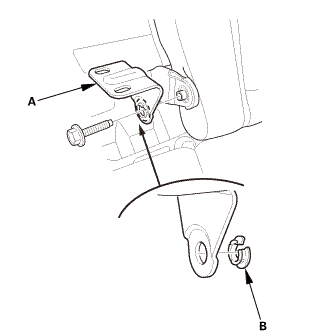 Using the special tool, tighten the locknut to the specified torque. 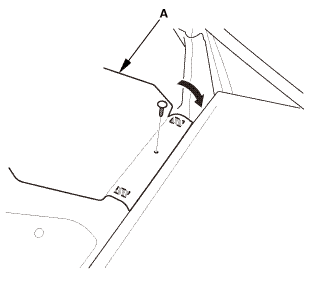 After tightening, make sure the marks (A) are still aligned. 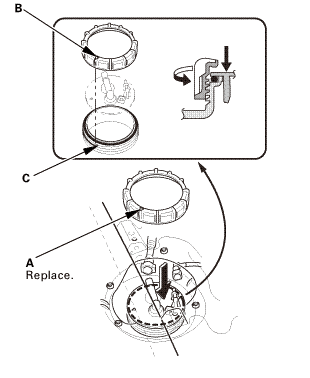 After installation, check the base gasket, visually or by hand, to make sure it is not pinched. 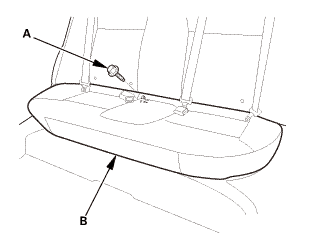 Reconnect the quick-connect fittings (B). 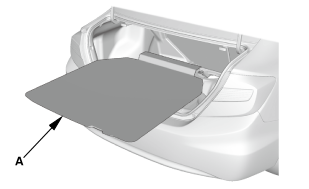 Install the access panel (B) to the floor. 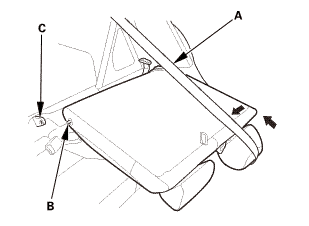 Install the rear floor upper cross-member (A).